Thus to Peter Wagner and his fellows in the loosely structured New Apostolic Reformation, “dominion” means something quite different from what the conspiracy theorists are alleging, not at all like Rushdoony’s Christian Reconstructionism – and rather different from what Schaeffer believed. Is there anything here which any Christians can object to? The best thing that can be said about the “Dominionismists” is that they are ignorant. 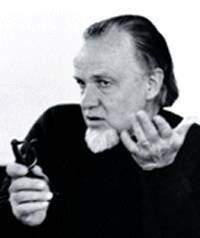 Francis Schaeffer was not a "Dominionist"
Two weeks ago I posted Dominionismism: A conspiracy theory unmasked. But accusations of “dominionism” persist against allegedly Christian leaders and US Presidential candidates. The fallacious arguments behind these accusations often include allegations that the late Francis Schaeffer was an advocate of some unhealthy kind of theocracy or “dominionism”. None of this, however, changes the fact that the United States was founded upon a Christian consensus, nor that we today should bring Judeo-Christian principles into play in regard to government. But that is very different from a theocracy in name or in fact. It seems apparent that Schaeffer’s belief was that the role of Christianity in politics is to naturally influence government by being transforming first in the person, then in one’s relationships, then in the church, then in the culture and finally in government and the whole of life. … He held that the only way naturally to bring about lasting change in government was by changing the human heart. That change alters our worldview and also how that we vote and the influence we have on government. So there is to be action on our part in government, but it is never the final solution to man’s [sic] problems. Thanks to Jeremy Pierce, on Facebook, for the link. Virginia earthquake: Wilkerson's prophecy fulfilled? David Wilkerson’s earthquake prophecy seems to fit well with worldwide events this year, or at least it has offered a convenient grid for some people to fit their interpretations of events into. There has been a major earthquake in Japan, a minor one in England, and earthquake panic in Rome. But despite the Tea Party’s best efforts last month, the prophesied economic meltdown has not yet happened. The latest candidate for a fulfilment of Wilkerson’s prophecy is of course Tuesday’s earthquake in the “Old Dominion” state of Virginia. This caused damage, but thankfully no known casualties, in Washington DC. In New York, 300 miles away, it was felt strongly enough to cause panic. Meanwhile Hurricane Irene is heading straight for the capital city and the Big Apple, and is expected to hit them at the weekend. I believe it is going to take place where it is least expected. the biggest most disastrous earthquake in history. In this week’s quake the most seriously damaged building, it seems, was the Washington National Cathedral, according to Wikipedia “the seat of … the Presiding Bishop of the Episcopal Church, Katharine Jefferts Schori” and thus the spiritual centre of the largely apostate Episcopal Church. I use the word “apostate” here not so much concerning its abandonment of the true gospel or its promotion of homosexual practice as in relation to its policy, in direct contravention of apostolic teaching (1 Corinthians 6:1-6), of persecuting orthodox congregations through the secular courts. Now I am not claiming that this damage to the cathedral (minor of course compared to the damage to Christchurch cathedral in New Zealand just six months earlier) was the result of divine judgment. But from an orthodox Christian perspective it certainly seems to be poetic justice. I’ve determined that there’s a political faction out there that needs a name, because it’s a group of conspiracy theorists with a particular agenda that’s becoming somewhat influential, and it’s achieving its agenda fairly well. Its agenda is to discredit mainstream evangelicalism by confusing it with extremist figures who have nearly zero influence on much of any importance. What is this conspiracy theory which the always careful philosopher Jeremy has unmasked? He calls it “Dominionismism”, because it started with the invention of a Christian tendency called “Dominionism”. This non-existent -ism has been manufactured by a conflation of three quite different theologies: the Christian political activism of Abraham Kuyper and Francis Schaeffer; the “Dominion Theology” associated with “third-wave Pentecostalism”; and the Christian Reconstructionism of R.J. Rushdoony and others. 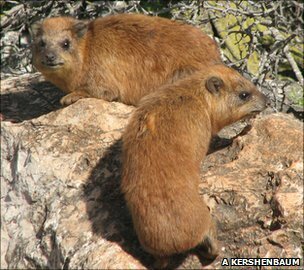 In fact I already started to unmask this conspiracy theory in my June post Taking over mountains from the grass roots. attempting to do what good we can in the world, and that involves seeking to implement policies that Christians agree with. Now it is hardly unexpected that atheists and liberal Christians object to evangelicals seeking to implement the policies that they, the evangelicals, agree with, but the atheists and liberals do not. But that is no excuse for anyone to confuse quite different theologies and manufacture a non-existent conspiracy. I haven’t posted much on Dominionism/Christian Reconstructionism lately, … but it is something which people should be concerned about. That is enough to show that he has bought into the conspiracy theory which Jeremy has unmasked. Joel, I agree with you in not liking the politics of Rick Perry or Michele Bachmann, or for that matter of any of the Republican presidential hopefuls, to the limited extent that I know those politics. But if you want to oppose them, please do so by telling the distasteful truth about their policies and their likely effects, not by smearing them with meaningless labels like “dominionist” or linking them with movements like Christian Reconstructionism which I am almost certain that they reject. But my real concern is not so much for politicians. After all, most of them deserve the abuse which is heaped on them. And I am not going to treat Rick Perry as a good Christian after the revelation reported by Jim West that Perry gives just half a percent of his income to churches and religious organisations. But I do think Joel is going far too far when he condemns a whole slate of widely respected Christian leaders as “heretical” on the basis of short quotations taken out of context and a completely unjustifiable attempt to assert guilt by association with the word “dominionism”. This is completely irresponsible spreading of dissent and division in the church. Joel, I know you are a reasonable man and prepared to change your views and admit it publicly. I appeal to you to reconsider what “dominionism” actually means, and to accept that the Christian leaders whom you name, although they may have said some stupid things, do not teach anything like Christian Reconstructionism, but only the kind of generalised Christian involvement in politics which in your saner moments you actually seem to support.